All government agencies, the NACA included, run on money. Funding is a measure of institutional health and prospects. With more funding, an agency can presumably do more of whatever it does, be it defending the country, delivering the mail, or conducting aeronautical research. Over the years, especially through World War II, the NACA had always gotten pretty much what it wanted. It was a small, efficient organization with a good reputation in the Bureau of the Budget and in Congress, operating in a field where few bureaucrats or lawmakers were qualified to criticize its work. There is evidence that the NACA tended to ask for as much money as it thought it could get, leaving itself open to charges of conservatism and lack of vision; but it generally fared well in the Washington scramble for funding. Even after World War II, when the Committee was at its nadir in reputation and influence, when it was losing important battles over the Unitary Wind-Tunnel Plan, missile-research coordination, and nuclear powered aircraft, it still won steadily increasing funding from Congress. Nothing prepared the Committee for the unprecedented funding reverses it suffered in the early 1950s. Shortage of money dominated these years, as never before in the Committee's past. Analysis of these money crises becomes an analysis of the Committee's political history as well, showing how the NACA budget (and hence the NACA) fared in comparison with aviation in general, the military services, and federal funding for research and development; why the NACA's funding was cut in these years and by whom; how the Committee responded to the cuts; and what all this portended for the future. The NACA had prospered in war. World War I had provided the impetus for its creation in 1915, after several aborted attempts in the preceding years of peace revealed how difficult it was to move Congress when the national interest was not transparently obvious. The  money made available in World War I bought the facilities at Langley Field that were to guarantee the NACA's ability to conduct its own research. In World War II the NACA had quadrupled in staff, funding, and facilities, a growth from which it had, not receded appreciably in postwar years, despite congressional enthusiasm for demobilization and retrenchment. The NACA had every reason to believe that the Korean war, though officially only a police action would result in a similar expansion of the Committee's activities a resources. If anything, the NACA might even have thought it would profit more from the Korean war than from previous hostilities. First, the lesson of World War II that the Committee rehearsed most relentlessly was still fresh in the mind of Congress: drawing the NACA away from its fundamental research during the war to clean up and test military aircraft had exhausted the nation's supply of basic aeronautical knowledge. In future wars, the NACA would have to do specific work for the military and keep up its fundamental program as well. The Committee is conducting its program of scientific research in an atmosphere of world crisis . . .. The U.S. is spending billions to strengthen its air power. It is mandatory that the aircraft procured be superior in performance and military effectiveness . . .. We are in a sustained international contest with stakes so great we dare not lose . . .. The reason for this, according to Stack, was the shortage of American research facilities and personnel compared to those of the Russians. NACA personnel figures showed at 84 man-years lay behind every mile-per-hour speed increase in subsonic era, whereas 227 man-years were required in the transonic era. The increment was dictated by the complexities of high speed flight, in which an aircraft had to perform acceptably in the subsonic regime for takeoff and landing and to do its operational flying through and above the speed of sound, where the researcher as yet had no proven theory to guide him. 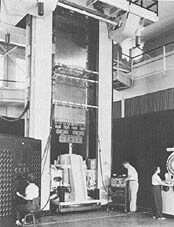 The NACA laboratories were short by 50 percent of the level needed to keep pace with the Russians assuming that Russian scientists were as efficient as those in the NACA, which Stack clearly would not allow. He cited intelligence sources suggesting that "the Russians expended at least three times the man power in their research establishments that we did." Therefore, concluded Stack, the NACA should expand from its 1951 manning level of about 7000 to 10,000 in 1952 and 14,000 the following year. New facilities, comparable to those assumed to be in the hands of the Russians, should, be made available to the expanded staff, so that the NACA research equipment would once more have the level of sophistication it enjoyed in the 1930s. In essence, Stack was arguing for a doubling of the NACA during the next two years, and he warned that if the war situation "remains tense" thereafter, "further expansion to match our adversary will likely be necessary." But the Eisenhower administration alone does not account for all the cutbacks suffered by the NACA in the early fifties. The real villain of this piece was in Congress. The NACA nemesis of the 1950s was Congressman Albert F. Thomas, chairman of the Independent Offices Appropriations Subcommittee of the House Appropriations Committee. More than any other man in Washington, Thomas found fault with the NACA and worked to pare its size and prerogatives. In much of this, he was speaking for his subcommittee and for what Victory called in 1950 "a very troublesome Congress. "10 But there was more to it than that. His name appears over and over again in the records of the NACA and the Bureau of the Budget, not as mere spokesman but as leader of the attack. There is no doubt that Thomas was the locus of opposition to the Committee in the 1950s. Albert Thomas, however, was not satisfied. In 1949 he raised the issue again, stating that his committee believed that "an agency which has grown to the size and importance attained by NACA should have broad, basic legislation authorizing all functions, including authorization for the construction of specific projects." Though the House Armed Services Committee delayed this action for a year, legislation passed in 1950, authorizing the NACA to "equip, maintain, and operate offices, laboratories, and research stations under its direction" and to "acquire additional land for, undertake additional construction at, and purchase and install additional equipment for existing laboratories and research stations under its direction. "13 In the long run this legislation probably helped the NACA, lending to its construction requests the endorsement of the House Armed Services Committee, but it was viewed by Victory at least as an unwelcome explication of the specific powers of the NACA. Victory preferred to construe these on a rather sweeping scale from the Committee's broad and vague organic legislation. If the NACA had to get specific congressional authorization for something as basic as acquiring and equipping laboratories, it  might end by having to submit other traditional prerogatives of the Committee to congressional review. The depth of the congressman's admiration for the NACA chairman was thrown into some doubt the following year when Hunsaker appeared before Thomas to defend the 1952 appropriation request. The following excerpt from the hearings (later excised at Thomas's request) reveals neither man in his best light. Thomas: Now the question is that you have some fat in here I put some eight or nine hours on this budget last night and we are  going to give you an opportunity to tell us where we are going to cut it. We just cannot do business as usual. We are in war. We do not want to cripple your agency; we want you to function and do your job; but there is too much fat in here. I have this idea in mind, and I would like you to comment on it. This is a companion industry; we will call it, to industry. In private industry, anybody who works 7000 or 8000 employees has a whale of a big industry, especially if it spends $80 million. That is a whole lot larger than the budget you get for MIT and air Harvard combined; with all of their departments; is it not? Hunsaker: You do not want a rely to that; do you? Hunsaker: This is embarrassing to me, as I am on the defensive. You made the assertion that there is fat in this budget. Thomas: That is right. I still say it. Hunsaker: I will says, to the best of my knowledge and belief and representing my colleagues, this is our best and considered judgment in the interest of the country. We have not put any fat in here deliberately that you might get satisfaction from cutting out. Thomas: Now, just keep your shoes on, Doctor. Hunsaker: I cannot keep my shoes on when you say there is too much fat in here. Thomas: Take them off, then. Hunsaker: I will takes them off and takes my coat off, too, if you like. Thomas: Let your size is your guide, my friend. Hunsaker: This is on the record. Thomas: just keep your shoes on now. All f us here have a job to do, and do not be so touchy about it. We want to treat you nice and are going to treat you nice. Hunsaker: That is fine. I thought maybe you were not going to when you made your first opening statement. Thomas: We find a lot of fat in every budget, and we are not going to give you a blank check, as distinguished as you are. Thomas: Is that clear to you now? On the other hand, the accountants found that the NACA was using salaries and expenses funds for construction and equipment, a practice reminiscent of the old Committee technique of procuring facilities and then demanding from Congress the personnel and resources to staff them. The GAO recommended that in the future Congress should specify the purposes for which it was appropriating construction and equipment funds and explicitly prohibit the Committee from using salaries and expenses funds for this purpose. Of course, many of Thomas's criticisms of the NACA only reflected opinions widely shared on Capitol Hill. For example, the Senate Committee on Expenditures in the Executive Department echoed Thomas's concern that the organizational structure of the NACA was inappropriate to its size. A report by that committee in 1948 had identified only two "committees" among the independent agencies of the Executive Branch. Only nine independent agencies had more people than the NACA; the Department of Labor had considerably fewer. The Senate Committee on Appropriations brought up the old complaint of how much NACA work at government expense profited private industry. And a BoB official noted in 1953 that "there have been many broad statements recently on the amount of duplication in research and development program and facilities," implying doubts that the NACA had to assuage when it took its construction authorization bill before the Senate Armed Services Committee. 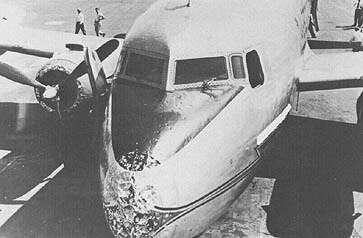 When the British successfully flew the Comet jet airliner years ahead of any comparable American plane, John Victory found himself before the House Committee on Interstate and Foreign Commerce, trying to convince the members that this was a  question of economics and not a shortcoming of American aeronautical capability.19 Thomas was by no means the only member of Congress turning a jaundiced eye on the NACA In the early 1950s. He was merely the most visible, the most relentless, and the most powerful. When asked on a Washington radio program in late 1952 to name his most difficult administrative problem, John Victory replied "trying to remain a discreet and ethical scientific organization" in the face of congressional indifference to what he saw as the overriding importance of aeronautical research.21 Cuts impose upon the NACA in these years were so unprecedented, so incongruous with the war emergency and the growing demands of the military for help in its expanding aviation program, and so frustrating to the members and staff of the NACA, who felt hobbled in a desperate race, that they were sorely pressed to control their tempers and their scruples. The righteousness of their cause seemed to justify extraordinary means, but they resisted the temptation to move dramatically. The response of the Committee, at least at first, was passive and defensive. Deferentially the NACA submitted supplemental appropriation requests to Congress. When these too were rejected, the Committee in soldierly fashion tightened its belt and resolved to make do with less. The first purpose of such a Committee as ours must be to find a man, or men, with the necessary knowledge imagination and enthusiasm. Having found the men, we must see that they are allowed the utmost freedom of action and that their environment is sympathetic. Over the years, this philosophy had been adequate to the need. In the 1920s, the NACA successfully recruited young engineers fresh out of college and trained them on the job. The facilities and the reputation of the Committee attracted these men, offering (as one recruit later recalled) a better graduate education in aeronautical engineering than he could get anywhere else in the world. What is more, the aircraft industry had its ups and downs, while the NACA provided steady employment and security in an unsure profession. The Depression and the austere years of the mid and late 1930s had made employment with the Committee even more attractive. The resultant drain of aeronautical engineers from the NACA tended to raise the average age of the professional staff, for the old NACA hands resisted the temptation and stayed on out of loyalty or inertia, while the best youngsters served a brief apprenticeship with the Committee and then took their talent and their experience to higher paying jobs in industry. To stem this tide, the NACA tried throughout its last ten years, generally through the efforts of John Victory, to secure higher pay for its employees.30 Two mechanisms, both originated independently of the NACA, were quickly appropriated to the Committee's needs: money and education. Congress passed Public Law 80-313 in 1947 as an "interim measure" to allow the secretary of defense to pay as many as 45 of his scientific and technical employees salaries ranging up to those of cabinet secretaries. The pay and prestige of these PL-313 positions, as they came to be called, were expected to aid the secretary in recruiting the technical personnel needed in his department. Though industry still paid more, PL-313 was meant to close the gap enough to make government a competitive employer. Amendments to this basic act in 1949, 1956, and 1958 raised the salary levels and also gave to the NACA a smaller, but significant, number of positions: 10 in 1949, 30 in 1956, and 90 in 1958.31 These allotments were fewer than the NACA requested (in fact, insisted it must have) but they were enough to reduce its personnel drain. The Committee did not, however, use these positions to recruit new men to the NACA as the original legislation had intended, but rather to reward those who had stayed over the years and had declined higher paying offers from the outside. There was logic and justice in this policy, but the long range effect was to retain the old-timers while giving up the bright young men to industry. Of course the latter might stay on in hopes of succeeding in time to the higher paying positions now at the NACA's disposal, but many of them felt that an increased salary in hand was worth a PL-313 in the bush. Two other recruitment and retention tools allowed the NACA to offer higher salaries beginning in 1949. The Executive Salary Act, which raised Dryden's salary and led to the clarification of his role as head of the agency, also removed him from the PL-313 quota, thus allowing the Committee one more high paid billet. More important, the Classification Act of 1949, besides changing federal position classification into a single orderly ranking of 15 General Schedule grades (GS 1 through GS 15), created three new grades (GS 16 through GS 18), which would be controlled by the Civil Service Commission. In 1949 there were 400 positions in these grades; in 1958 there were more than 1500, and many additional ones provided by special legislation. Agencies could apply to the commission for and number of these, which the commission distributed on the basis of need. The NACA tried repeatedly and aggressively to secure as many of these as it could, again distributing what it won almost exclusively to old NACA hands. In its first round, the NACA received only three GS 16s. By 1956 this number had been increased to three GS 17s and 25 GS 16s, far fewer than the Committee felt it deserved. Part of the reason for the commission's reluctance to grant more supergrades to the NACA was that the Committee already had quotas for PL-313 positions. 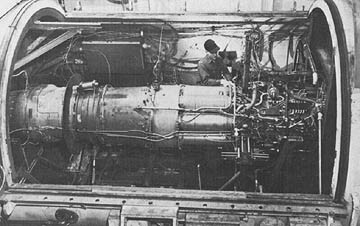 Part of the reason was that many posts recommended by the NACA for the higher rates were administrative jobs that the Civil Service Commission considered Inappropriate for special salaries within a scientific and technical organization, The NACA was persuasive when it argued that it had to pay the chief of the Supersonic Propulsion Division a high salary to keep him from going over to industry, but it failed to explain why the headquarters security officer should be paid more than a security officer in any other agency. In the long run, then, the government salary measures instituted after World War II to slow the drain of scientific and technical personnel  to industry, while they helped the NACA somewhat, also created for the agency (and for other agencies as well) a dilemma that it never resolved. In attempting to compete in the marketplace with salaries that approached those of industry, the government was placing on certain of its employees a value unrelated to the standards of merit normally applied to civil servants: loyalty, competence, seniority. Dryden and Victory wanted to reward members of the NACA staff who had contributed most to the success of the agency, but the PL-313 law was designed to reward those in demand or, the outside. To use the positions as the commission intended, Dryden and Victory would have had to pass over administrators of long and faithful service to the NACA in order to reward some novice whiz kids more important perhaps to the field of aeronautics than they were to the NACA. That raised a nice question of which was more important to the NACA. That aeronautics or the National Advisory Committee for Aeronautics, the ends or the means. Here, as elsewhere, the Committee was sliding into the natural but dangerous conviction that the means were more important than the ends. While wrestling with these personnel problems in the early 1950s, the NACA also had to decide which research it could undertake with increasing demands and decreasing funds. On the one hand it had to continue the research programs in which it had labored for years: i.e., traditional aeronautics. On the other hand it had to decide which of the new technologies emerging after World War II warranted part of the Committee's attention and resources. With those resources as tight as they were, these decisions essentially had to be made year-by-year, in spite of the general commitment the NACA had undertaken in the 1940s. Now every decision to pursue some line of research was at the same time a decision to abandon or neglect some other line. To their surprise, Eisenhower not only agreed, he went them one better. He suggested that they request a supplemental for 1955 to get started on these projects before fiscal 1956 began the following July. Seemingly rusty on military customs, Hunsaker and Dryden came away from this meeting not realizing that a suggestion" from the commander in chief was a polite order. As they contemplated taking the idea before their next meeting with the Bureau of the Budget, the White House called to find out why it had not yet been submitted. Within days, NACA representatives and White House aide were before the BoB director with a supplemental estimate. The timing of the NACA approach to Eisenhower could not have been better. Hunsaker reported, "The President's interest in the program was based on his knowledge o recent intelligence as to progress in aeronautics being made by the Russians." A knowledgeable insider has testified to the "high quality of the national intelligence estimates in 1954," and these had reinforced for Eisenhower the concern expressed by his Science Advisory Committee when he met with it in March of that year. A month before seeing Hunsaker and Dryden, Eisenhower had appointed a technological capabilities panel under the direction of James R. Killian, Jr., president of MIT. Even before the TCP report was presented to the National Security Council in February 1955, Eisenhower was taking steps to implement the recommendations sure to be forthcoming: "get our military R and D program moving again with carefully established priorities better related to the existing threats to our security." One such step was to provide increased funding for the NACA. With the Eisenhower administration's skepticism about R&D waning, there was no longer sufficient strength in Congress to hold down NACA budgets. The NACA got it supplemental in 1955, its increased budget in 1956, and annual increases thereafter for the remainder of its years.38 The TCP report of 1955 set the pace and direction of American strategic policy for years to come: it led to the crash program to build an intercontinental ballistic missile, develop the U-2 spy plane, institute work on reconnaissance satellites, and generally augment military R&D across the board. The NACA was carried along on this tide. The budget was rising; the Committee as receiving awards for its achievement, and even old enemies were succumbing to the NACA's charms. The question was, could the turnaround change the drift of events of the previous decade? 1. See BoB, National Security Branch (W.H. Shapley) to "Mr. Tiller," "Change in Functional Classification of N.A.C.A. Appropriations," 29 June 1919; and J.E. Reeve to "Mr. Labovitz," "Proposed Reclassification of NACA Appropriations to National Defense," 5 July 1949, from which the quotation is taken. To the Committee on Operating Problems, formed during World War II, only the subcommittees on Aircraft Fire Prevention; Aircraft Noise and Flight Safety were added in the postwar years, and these accounted for only a small art of the NACA research program. For examples of this kind of testimony, see House Committee on Appropriations, Hearings on Independent Office Appropriations for 1952, 82/1, 195 1, pp. 358 59; ibid., Subcommittee on Independent Offices Appropriations, Hearings on Independent Offices Appropriations for 1953, 82/2, 1952, p. 373. 3. AR 1950, pp. 1 2. 4. John Stack, unsigned memo for chief of research, NACA research potential and current and future needs, 14 Dec. 1951, with cover memo by Waiter T. Bonney, "Some thoughts concerning possible manner of presentation by John Stack," 10 Jan. 1952. 5. Stack actually used speed ranges to make his point, for he wanted to impress upon his audience the complexity of aeronautical research. The top speed and the landing speed were the extremes within which a given aircraft would stay in the air. As top speeds increased, so too did landing speeds, though to a lesser degree. In the subsonic era, top speeds were between two and three times the landing speed; in the transonic era, they were five times as great. The immediate result of this (at least as Stack present d his case) was to require longer and sturdier landing fields, which in turn removed comb t aircraft farther from the front lines and reduced their combat utility. 6. For example, Stack assumed that the increased speed of aircraft was a direct function of NACA funding, ignoring the work of other designers and engineers in industry, the services, and universities who contributed to American aircraft performance. He argued that an increase in the NACA budget would raise aircraft speed, even without proportional increases in military R&D funding. This is the sort of hubris that not only blinded the NACA to its own shortcomings but also alienated many knowledgeable people in the field of aeronautics. 7. See appendix C. The House reduced the 1951 NACA appropriation more than $6 million, most of it reportedly "to deny the NACA any increase over its current operating level." W. H. Shapley to "Mr. Ramsey," "House of Representatives Action on 1951 Estimates of NACA, 12 May, and "Effect on NACA of Senate General Reduction in 1951 Appropriations," 9 Aug. 1950. 8. Historical Statistics of the United States, Colonial Times to the Present (Bicentennial ed. ; 2 vols. ; Washington: Bureau of the Census, Dept. of Commerce, 1975), 2: 768, 966, 1116, 1120. 9. The total federal budget dropped in both 1954 and 1955, as did the military budget; however, while the latter remained more than 3 times the 1950 figures, the NACA's 1955 appropriation was only 1.3 times its 1950 level. Ibid. and appendix C. The quotation is from Shapley to "Mr. Schaub," NSC meeting on research and development, 8 May 1953. Aeronautical R&D funding throughout the federal government went into a decline beginning in 1954 and never recovered. DoD, NASA, and Dept. of Transportation, R&D Contributions to Aeronautical Progress (2 vols. ; Washington: Dept. of the Air Force, 1972), 1:II- 5. Part of this decline must be attributed to the fact that the United States began shifting research effort from aircraft to missiles, work in which the N CA believed it had an increasing role to play. 10. Victory to Capt. Frank B. Miller, USN, 7 June 1950, in USAF Academy, Victory papers, "All JFV Correspondence, 1950." 11. See, for example, Shapley to Ramsey, "House of Representatives Action on 1951 Estimates of NACA, 12 May 1950; National Security Br. (W.H. Shapley) to Ramsey, "Additional 1951 and 1952 Budget Estimates for the NACA, 16 Oct. 1950; 64 A 518 (12), 1951. 12. Shapley to [Roger] Bounds, "Legislation in Appropriation Language National Advisory Committee for Aeronautics," 5 May 1945; appendix A. 13. Report of the House Appropriations Committee on the .950 Independent Offices Appropriation Bill, as quoted in minutes of NACA meeting, 21 Apr. 1949, pp. 2-3; Carl Vinson to Clarence Cannon, 16 Dec. 1949; app. A. 14. Report of the House Appropriations Committee on the .950 Independent Offices Appropriation Bill, as quoted in minutes of the NACA meeting, 21 Apr., p. 3; Shapley to Ramsey, "NACA Organization," 14 Apr. ; Victory, A Full-Time Paid Chairman for NACA, memo for record, 15 Apr. 1949. 15. Victory, "A Full Time Paid Chairman for NACA"; minutes of NACA meeting, 21 Apr. 1949, p. 5. 16. Participants in congressional hearings customarily receive a verbatim transcript of the testimony. Witnesses are usually allowed to edit or revise their remarks, a process that often eliminates exchanges much less damaging than this one. This quotation appears in the handwritten notes of Walter Bonney, who came upon the unedited transcript in his research. Another copy of the transcript is in the Hugh Dryden Papers at the Eisenhower Library, Johns Hopkins Univ. Ira Abbott, who was at this hearing, reports that the exchange between Thomas and Hunsaker was far more intemperate than the version recorded here. See his description in Abbott to Monte D. Wright, 30 April 1980, encl., p. 20. 17. "Report on Survey of the National Advisory Committee for Aeronautics," forwarded by cover letter from Frank L. Yates, acting comptroller gene I of the U.S., to John Phillips, 20 Feb. 1953, p.4. 18. Quotations from ibid., pp. 17, 42. Thomas's comment appears in House Committee on Appropriations, Hearings on Independent Offices Appropriations for 1952, 82/1, 1951, p. 367. On the 1954 and 1955 audits, see Frederick H. Smith to Dryden, 24 Jan., and Dryden to Smith, 31 Jan. 1956. Ira Abbott reports that Thomas told the NACA off the record to forget the GAO criticisms, which were misdirected and wrongheaded. Abbott to Wright, 30 April 1980, encl., p.22. 19. Chart of "Organization of Federal Executive Departments and Agencies" as of I Jan. 1948 to accompany Senate Committee on Expenditures in the Executive Departments, S. Rept. 13 [80/2, 1948], in 62 A 35 (40), 010 legislation, government organization; Senate Committee on Appropriations, Hearings on Independent Offices Appropriations, 1951, 81/2, 1950, p. 950; W.H. Shapley to Schaub, "NACA explanation of apparent duplication in aeronautical research and development," 25 May 1953; statement by Victory before an executive session of the House Committee on Interstate and Foreign Commerce, 15 Feb. 1949, in USAF Academy, Victory papers, box 1, miscellaneous correspondence (1949 & 1951). A Subcommittee of the House Armed Services Committee [,] of which Congressman Durham is Chairman, and certain Senator, on both the Senate Armed Services and Appropriations Committees have been strong supporters of this program. The principal Congressional opposition has been from the House Appropriations Committee. Apparently the situation now is that Congressman Durham has succeeded in persuading the House Appropriations Committee to take a more favorable view. (Shapley to "Mr. McCandless," "Congressional Request to NACA for Resubmission of Budget Estimate for Construction of Wind Tunnels at Universities," 19 July 1950.) The same split occurred on other issues affecting the NACA. 21. "Outline of answers to questions to be posed by Charles Cordry on Joseph Young's radio program," 6 Sept. 1952, in USAF Academy, Victory papers, box 2, correspondence, July-Dec. 1952. 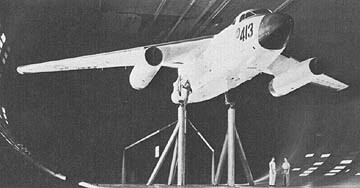 Before the end of the following year, the NACA was so deeply involved in work related to the Korean War that the Executive Committee took the unprecedented step of resolving that "the scope of research by the National Advisory Committee for Aeronautics be extended to include the aerodynamic problems associated with the control, stowage, release, and launching of aircraft armament and the integration of the airplane and its armament." Minutes of Executive Committee meeting, 12 Oct 1951, p. 12. This was a long way from fundamental problems of flight. 23. The story of air force problems with the Arnold Engineering Development Center is told in Willis Shapley, "Large Supersonic Test Facilities for Aeronautical Research and Development," an undated 14 page typescript forwarded to under a cover letter of 16 Apr. 1953. 24. 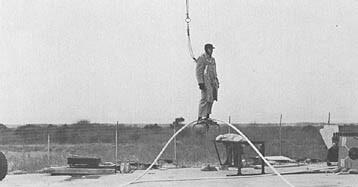 See "Policy for Operation of Unitary Wind Tunnels n Development and Test Problems of Industry," approved by the Executive Committee on May 1953, reprinted in appendix H. This policy was later extended to other NACA facilities. 25. See "Report of Facilities Panel, NACA Operation of NACA Unitary Plan Wind Tunnels," 12 Mar. 1953; "Dr. Raymond's Suggestions for Report, Facilities Panel, NACA, March 6, 1953," draft by Victory; "Dr. Dryden's proposed amendment to Dr. Raymond's suggestion for report of Facilities Panel, NACA," 11 Mar. 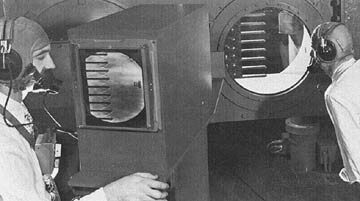 1943; "NACA Facilities Panel, Second Appearance of Dr. Dryden at Close of Hearings, March 6, 1953, "draft by Victory;" Report of NACA Facilities Panel to NACA Executive Committee on Policy for Operation of Unitary Wind Tunnels on Development and Test Problems of Industry," draft, 19 Mar. 1953. 26. AR 1953, pp. 68 73; appendix B. 27. NA RG 255, entry 2, box 6, "Bouquets to NACA." The quote is from Thomas W.S. Davis to Victory, USAF Academy, Victory papers, box 2, general personal correspondence, 1953. The lengths to which the NACA would go to protect its reputation with its principal clients is revealed in NA RG 255, entry 2, box 7, "Security." Here are recorded the events surrounding an incident in which some classified papers were mishandled by the NACA and were found lying on the street in front of the Committee's offices by a reporter for the Wall Street Journal. When the incident was reported on the fro t page of that paper, the NACA took appropriate steps to ensure that the shortcomings of its security procedures were corrected, but gave the director of naval intelligence a misleading and self-serving account of what happened. 28. Papers presented to the BoB, 15 Sept. 1927, in 57 A 415 (17), 19-5, FY 1929. The quoted document is not specifically identified as Ames's statement, but it reflects his style and philosophy. 29. Ira H. Abbott told Walter Bonney in 1971 that, upon graduating in aeronautical engineering from MIT in 1929, he had turned down more than fifty job offers and a postgraduate scholarship to study under Prandtl at Gottingen took a low paying job with the NACA. "I can say definitely that I had no idea of staying with the NACA he said. "I was going down there strictly for what amounted to a postgraduate course n aeronautical research because I figured that was the best place in the world to get it." Transcript of interview, 28 Oct. 1971, Sandwich, N.H., pp. 1-3. The comparison of the aviation and petroleum industries appears in [Howard] Braithwaite to Shapley, "History of Super grade positions: NACA/NASA," 23 Apr. 1968. Unless otherwise indicated, the following account of NA A personnel problems is drawn from this detailed and informative summary. 30. The John Victory papers at the USAF Academy provide sense of how much time Victory devoted to personnel problems during his last decade wit the Committee. For an example of similar evidence in the regular NACA files, see Victoy to C.O., Redstone Arsenal, attn: Col. Tom G. Thrasher, 24 June 1952, in 65 A 953 (1) 17, 1948-1951, in which Victory asks Thrasher to stop luring away NACA employees an refutes the colonel's earlier assertion that he was only trying to make up his own losses t industry. At this time the Army arsenal had hired away 45 NACA employees. 31. The 1949 act appears in appendix A. The NACA maintained that it was supposed to have been included in the original 1947 act; see Hunsaker to Sen. Olin D. Johnston, 10 Feb. 1949. The BoB preferred that general legislation apply to all government agencies, but made no objection when NACA sought in 1949 to gain same hiring powers as the military establishment. See A.E. Reed to Staats, "S. 2348, amend Public Law 313, Eightieth Congress, to accelerate scientific research in aeronautics authorizing the creation of fifteen additional positions in the National Advisory Committee for Aeronautics at rates of pay from $10,000 to $15,000 per annum," 16 Apr. 1948; ibid.,"H. R. 6695, a bill...," 14 June 1948; E.B. Bowers to Staats, H.R. 6695, an act . . . .." 22 Nov. 1948; Roger W. Jones to William J. Hopkins, 13 July 1949, with attachments. 32. P.L. 472 appears in appendix A. As with the NACA pay act of 1949, the BoB approved this legislation even though, as mentioned, its staff favored a general act applicable to all government agencies. See E.B. Bowers to Staats, "Draft bill, authorize professional personnel of the National Advisory Committee for Aeronautics to at and accredited [graduate] schools for research and development", 31 Jan. 1949. 33. AR 1955, p. ix; minutes of NACA meeting, 22 Oct. 1954, pp. 4 6; minutes of Executive Committee meeting, 14 July 1952, pp. 13 15. Robert J. 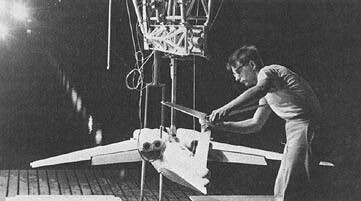 Woods of Bell Aircraft Corp. made the spaceflight proposal at the 24 June 1952 meeting of the Aerodynamics Committee. 34. Minutes of Executive Committee meeting, 14 Feb 1952, pp.12-15, and 14 July 1952, pp, 7-11; National Advisory Committee for Aeronautics of justification in Support of a Supplemental Estimate of Appropriation for the Fiscal Year 1953," 31 Mar. 1952. 35. National Security Branch (Shapley) to the director, "NACA amendment to the 1953 Budget for Research on Aircraft Structures (Supplemental Requirement No. 439)," 30 Apr. 1952, with routing slip from Shapley to Veatch et al. 36. Minutes of Executive Committee meeting, 16 Sept. 1954, p. 8; Shapley to "Mr. Schaub," "Proposed NACA 1955 supplemental estimate," 14 Sept. 1954. 37. The quote attributed to Hunsaker is from Shapley memo for files, "NACA meeting with Deputy Director [of BoB] September 16, 1954," 16 Sept. 1954. The other quotes are from James R. Killian, Jr., Sputnik, Scientists, and Eisenhower A Memoir of the First Special Assistant to the President for Science and Technology (Cambridge: MIT Press, 1 77), pp. 75, 69, whence also the general statements about Eisenhower's strategic thinking in this period. 39. Clarence C. (Kelly) Johnson, for one, was skeptical of the claims made for Whitcomb's work, but the Air Force was genuinely grateful for the help with the F-102, and praise for the NACA and Whitcomb was widespread. See Johnson to Dryden, 12 Aug. 1957, and Dryden to Johnson, 20 Aug. 1957, in 65 A 953 (36), A 34, 1957. 40. Hoover signed the report of the Commission on Organization the Executive Branch of the Government, Research and Development in the Government: A report to Congress (Washington, 1955), which, without making a specific recommendation On the NACA, repeated the glowing appraisal of the agency that first appeared the previous month in commission on Organization of the Executive Branch of the Government, Committee on Business Organization of the Department of Defense, Subcommittee on Research Activities in the Department of Defense and Defense Related Agencies, Research Activities in the Department of Defense and Related Defense Agencies (Washington, 1955), pp. 73-75, 90.